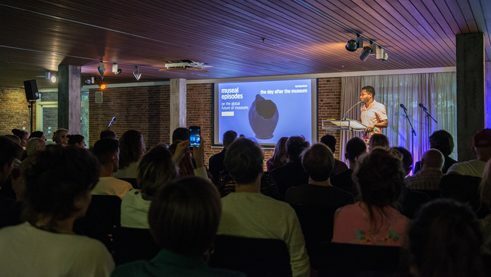 The series of events "Museal Episode" discussed the global future of museums over a period of three years in the framework of the "Episodes of the South". 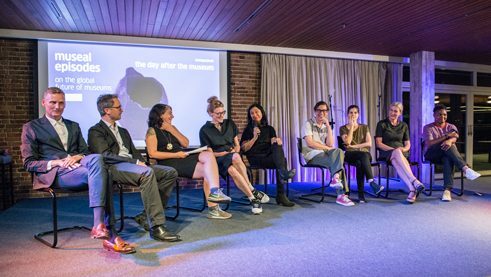 A performative evening at the Academy of Arts marked the end of the Goethe-Institut São Paulo's series in Berlin. In an interview, Marcelo Rezende, director of the "Archiv der Avantgarden" in the Dresden State Art Collections, speaks about the most important learnings. How would you recap the "Museal Episode"? It was an amazing experience, because we didn't have any ready-made answers to general questions. There is no one solution for the museum and its problems. We have to accept that the museum never was and never will be a stabilized structure. Stabilization is just a historical illusion. We have to accept that workinh in permanent contradiction and paradoxes could open the possibility of creating a way to live, survive, work and research in the museum and its labyrinth. How would you define a „museum“? Well, that's a difficult question. When we talk about the museum, are we talking about the European museum? Or the one created after the French Revolution as a tool for the national state and its ideology? Or the museum as a universal idea, to win the race against time, to sustain an experience of memory? Maybe this is the most important experience of the "Museal Episode", that we've put in place the notion that there is no such thing as “the museum”, but different “museums”, that exist in different forms. Museums are in the process of transformation. What do you think are the most important challenges? The museum has as a major challenge to learn to not be “correct”, to try and fail and then try again. The task is to humanize the museum, to leave the territory of certitudes and then again be able to learn from the community and not be in the position of dying for irrelevance. Why did you decide to place your own desk and your curatorial team in the middle of the exhibition space when you were director of the museum Museu de Arte Moderna da Bahia? It is important check the structure of power inside an institution such as the museum. We talk so much about the museum teaching but very seldom about the museum learning. It is interesting seeing museums with so called “political” exhibitions and debates but never addressing its own internal structure. In Bahia, we learned that a museum really can become a place for everyone, that every voice can be heard and only after that can be put in debate. Could this be a model for other museums too? We did this in Bahia, because the the museum has since its beginning a narrative of radical thoughts and actions vis-a-vis the art and the community. As said before, the museum should observe and understand its on history and context, avoiding ready-made formats with the illusion that there is a “right way” that can just be applied it doesn’t matter where. Maybe if we do this, we could have different and unique museums, but never irrelevant ones.